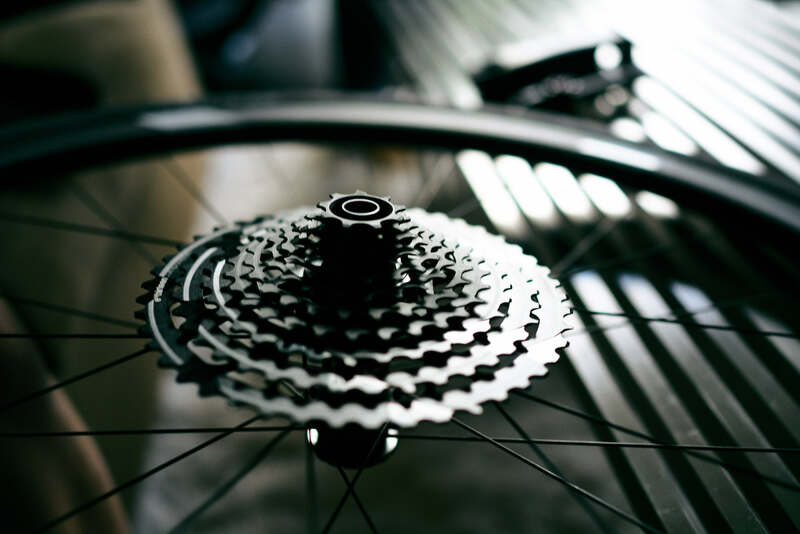 The derailleur is like stone-age tech, a metal plate pushing a chain off a ring, it’s dumb. Is what Gerard told me as 3T introduced the Strada during PressCamp, a 1x aero road bike. 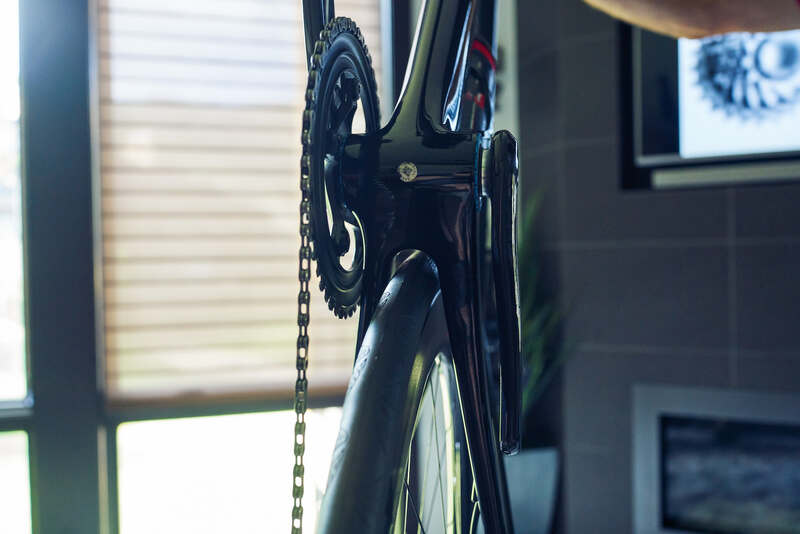 By getting rid of the derailleur, once and for all, Gerard could also make room for a larger tire, tighten up the bottom bracket for cleaner airflow, and make the bike he’d imagined in his post-Cervelo days. Whether or not you’re on board with Gerard’s 1x vision you can’t argue with him making the bikes he wants. In an over-SKU’d, niched-out market designing with a strong statement is refreshing aesthetic and one I embrace. As you should know, the Open U.P. is my personal bike. Also, before freaking out in a comment thread, go ride one. I did. See an edit from there ride here. And, what you need to know is after launching the U.P and Exploro, Gerard has returned to completed unfinished business in the road category. 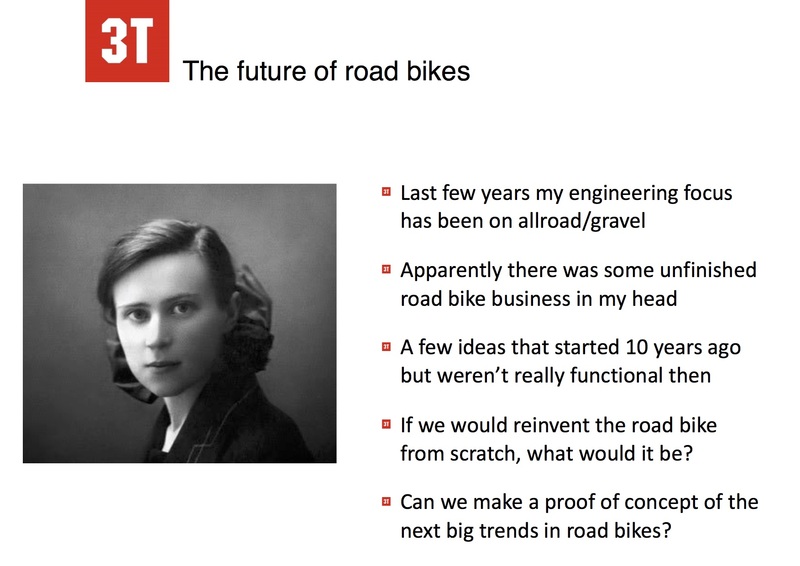 Also, a 1x aero road bike is much like what happened with the C2 platform. We broke that story years ago and helped evangelize wider rims that spread the tire out for more contact patch. At the time, that wasn’t an easy sell to roadies stuck on riding what they know. Well, as it turns out, wider rims caught on, and are now a standard in the racing/performance category. When you think about it, tire sizes have grown 2mm in ten years, way less than inflation and America’s waistline. So the Strada is a 1x, disc, aero road bike that’ll fit 30s. More importantly, you should buy the most tech you can afford at the time of a purchase. Well, unless you’re into retro like the Wilier; if so, there’s nothing wrong with that, but bike tech has moved on from 23s and caliper brakes. In the century-long history of the safety bike (two same-sized wheels), this is the era of a tuned carbon ride. It took carbon designers and engineers about 25 years to figure that out. If you don’t get on a carbon bike and love it within the first 30 minutes, try another, really. The best brands have quantified their ride with a number and design with an intent. To that point, Gerard’s bikes have their own feel and this one feels like the U.P or Exploro., but without a Foster’s beer can size down tube. See the specs below for the marketing language about the Strada. That’s not Gerard’s mom or his first love but he laughed loudly when I asked is it was. It’s Bluma Zeigarnik, a psychologist who developed the theory that “unfinished business” will stay in your memory. Gerard’s unfinished business was a 1x road bike. The goal of the Strada was to keep the air as close to the bike as possible with a larger tire and 3T could do so with a single chain ring. The 3T Strada frameset sells for $3800 and that’s $400 less than Exploro. This is the part of a launch when the marketing department shares their jargon and buzzwords; and, fine…parse it for the details you want about the Strada. I copied the text from the 3T PR presentation along with a few studio photos showing the bottom bracket. The biggest factor in road bike comfort are the tires; they provide more compliance than any other part of the bike. Wider tires are better at reducing shocks from cracks, curbs, cobbles, and potholes, which is why they are the norm at Paris- Roubaix. Wider tires also have lower rolling resistance, because their shorter contact patch requires less bending by the casing. In addition, wider tires offer an advantage on long and multi-day rides, reducing the steady drain on a rider’s energy level caused by high-frequency road buzz. But aerodynamics are also important on such rides, and wide tires tend to test poorly in the wind tunnel. However, that is to be expected if you test them with frames and parts optimized for narrow tires. 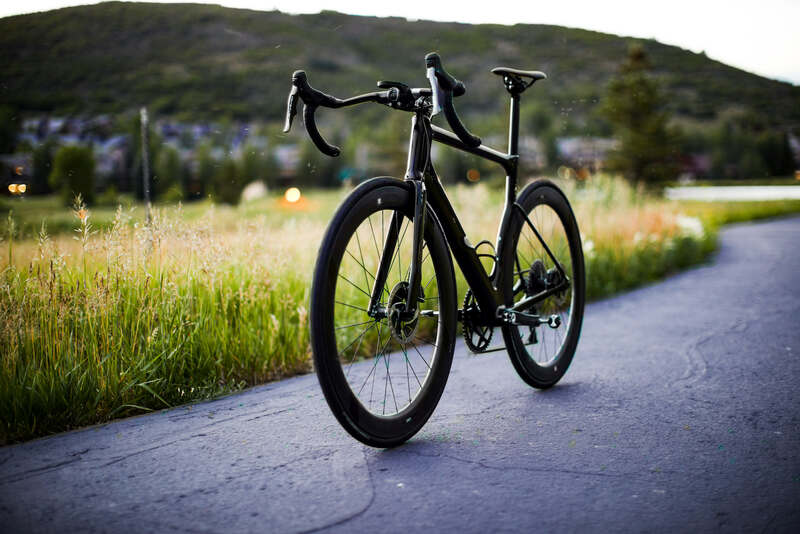 The STRADA is the first aero road frame optimized for wider tires, so finally you can be fast and comfortable all the time, from the cobbles to the climbs. All day, every day, with one and the same bike. At 3T we design for real world aerodynamics at realistic speeds. Sometimes that clashes with conventional wisdom, even on something as fundamental as aero tube design. Aero tubes are designed based on a series of flat 2D cross sections that connect together into a tube shape. But in the real world, the air flowing over a tube doesn’t follow a flat path, it follows an arc. So we built our Arcfoil tubes as a series of curved instead of flat Sqaero cross sections. These exactly mimic the arc of the actual airflow at several points along the tubes and substantially lower the drag (the arc of the downtube logo pays homage to exactly the airflow and cross section arc there). The Fundi is a disc-brake-only design, without any provisions for a rim brake version. This has allowed us to really optimize the design, for example with its minimalist crown, which combines space for wider road tires with a lower crown height. 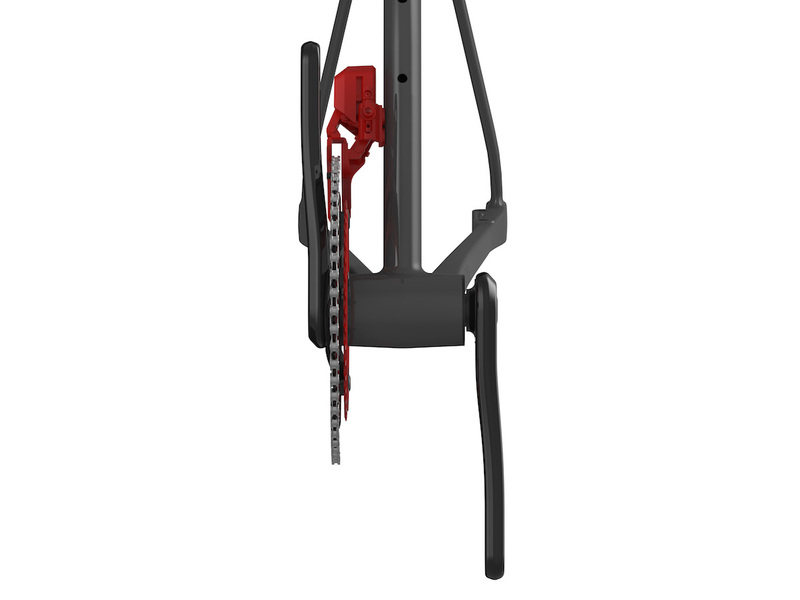 Where the crown on a rim brake fork (or a combined rim/disc brake project) by definition has to be bulky and unaero, the Fundi’s minimalist crown improves stiffness. 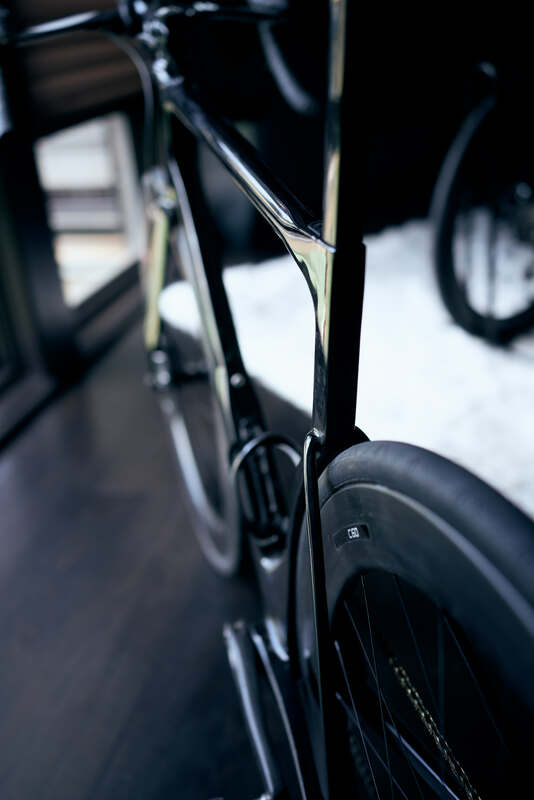 It also moves the front wheel closer to the downtube, creating a perfect transition for the airflow. This makes not only the Fundi itself very aero, but also helps the front wheel and frame become more aero. Mind The Gap: A smooth transition of the airflow from front wheel to downtube and from seat tube to rear wheel is crucial to lowering drag. The STRADA minimizes these gaps while respecting the UCI rules. 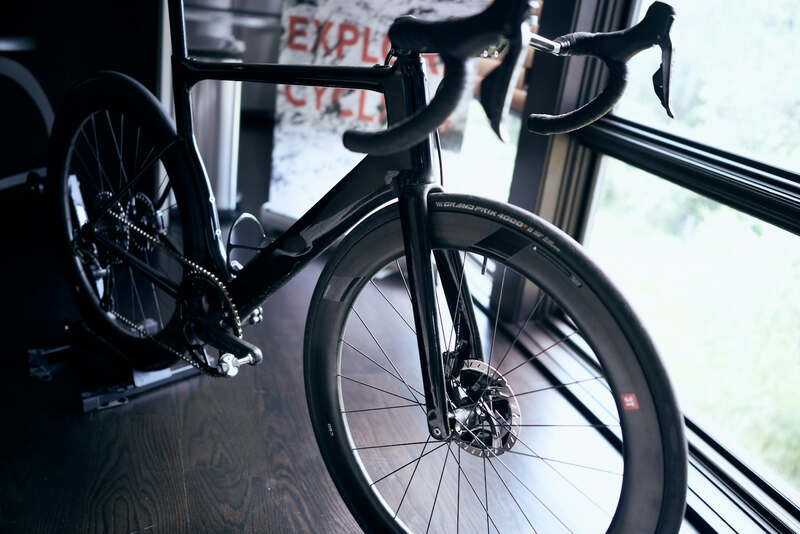 Disc Brake Only: We don’t want to compromise weight, stiffness and aerodynamics by combining disc & rim brake versions in one frame platform, so everything on the STRADA is fully optimized for flat-mount disc brakes only. To celebrate the launch of the STRADA, 2004 Paris-Roubaix winner Magnus Backstedt (all 105 kg of him) and his daughter Elynor rode STRADA bikes this past week from the cobbles of Roubaix via the iconic sections of Flanders and Flèche Wallonne to the historical climbs in the Alps and Dolomites to the Eurobike Media Days at Kronplatz. They should arrive on June 27 and here’s an edit of them riding.